Ideal for schools, churches and any other groups. 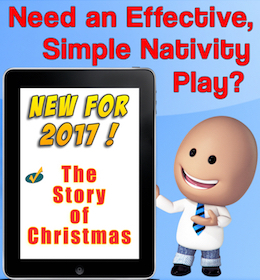 Best Children’s Nativity play scripts are simple, adaptable and flexible enough to make changes right up until the last moment, leaving you to enjoy Christmas without the stress. My scripts include narration with lots of small speaking parts too to make everyone feel special, and use simple familiar tunes with purpose written words. 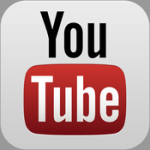 Better still, there are NO LICENCE FEES TO PAY…..EVEN IF YOU RE-USE THE SCRIPT! My scripts generally last around 25 minutes and are mostly written entirely in rhyme, including the narration and all of the speaking parts, a proven way to make the script easier to remember. I aim for every script that I write to have its own original unique concept so, if you have already used one script, you will find a whole variety of entirely different scripts still to choose from. 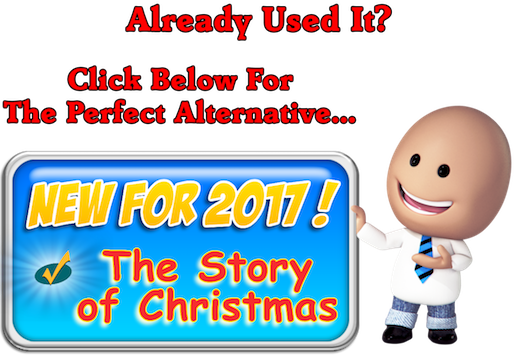 User friendly format and easy to adapt features that any church size can use”! 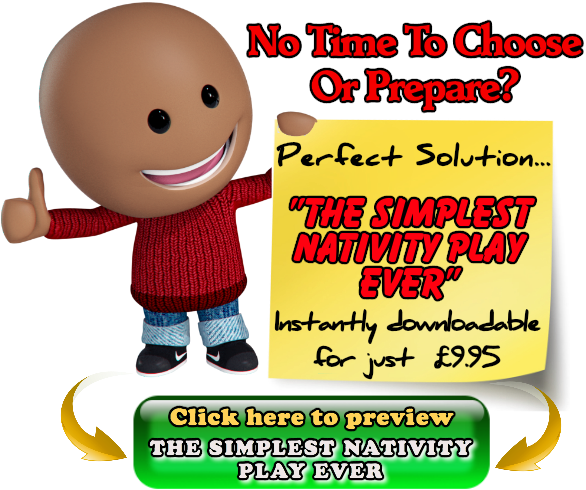 Find out what other people think of the nativity plays! 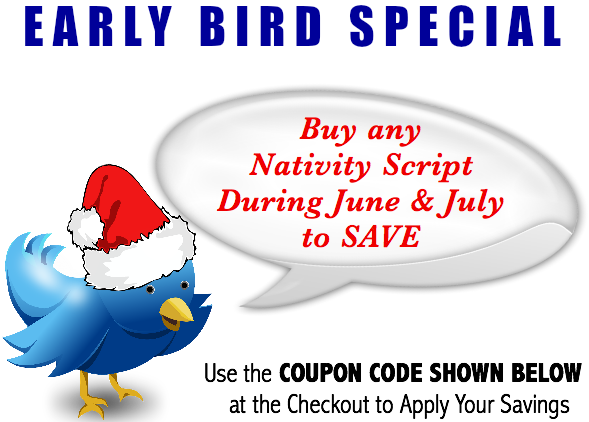 Get your FREE “Nativity Roll Call”. 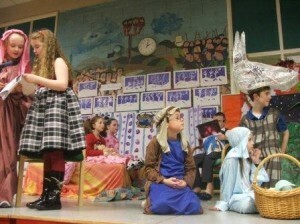 The perfect way to end any nativity play! Please help us by leaving a like or comment!